HAVE YOU EVER STOPPED TO THINK ABOUT YOUR WHY? Not just the monetary reason - money is how you get rewarded for the work you do, it is not the reason you do the work. I'm talking about the reason you get out of bed in the morning. The drive that keeps you pushing forward. The reason anyone should care. For us, it is to amplify the messages of those who are working to inspire positive change. As ocean people and artists, we noticed that many of our peers were doing great things in the world, but their stories were going unheard. They were just another name in an alphabet soup. We learned, that the first step to getting your name out there and differentiating yourself, was to ask yourself the right questions (download those questions in the guide at the bottom). Best selling author and TED speaker, Simon Sinek has boiled down the success of inspired companies and leaders into a simple framework that places the WHY at the center of all communications. In a world where we say WHAT we do and sometimes HOW we dot it, saying WHY we do WHAT we do is a differentiator. It is WHY we stand out from the crowd. This is how it works. We can all agree that Apple has done an amazing job cultivating their community. With a family full of Apple-addicts, I can attest to the success in Apple's messaging to keep it simple, yet significant. They're beautifully designed, simple to use and user-friendly. Uninspired messaging to say the least. Notice how this message makes you feel something? This is because the message starts with WHY - a purpose, cause or belief that actually has nothing to do with WHAT they do. WHAT they do serves as the tangible proof of their belief. We start every client discovery session with questions like the ones in our free guide, that identify the WHY behind WHAT you do. Not only does this help us understand what is important to you, it gives us an idea of how well connected you are to your values, your audience, and your message. 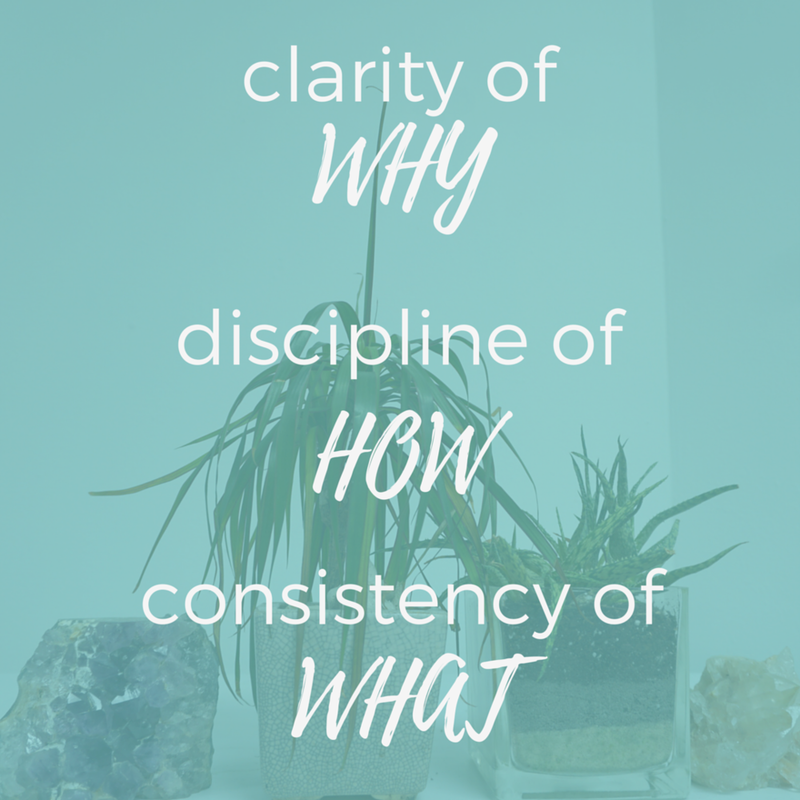 To create space for clarity, focus your energy on understanding your WHY. Write about it for 5 minutes each morning for a week. A list of guiding questions can be found in this free worksheet. Click the link >>>> The How to Define Your WHY guide is yours! Enjoy the process and know you are on your way to building a message that stands out from the crowd. It is ok if your journaling takes you in different directions - the idea is to remove the clutter from your headspace and develop a WHY statement that's short and sweet. You'll want to make it interesting enough to provoke curiosity, yet simple enough to understand. Once you've refined your WHY to a snapshot of what you stand for, let it be known. Write it on post-it notes and canvas your space with this simple reminder of what drives you. Don't be shy in bringing it up everywhere you go. Meditate on it. The more you see it and say it out loud, the more you will breathe it, become it, and attract like-minded clients who also believe it.